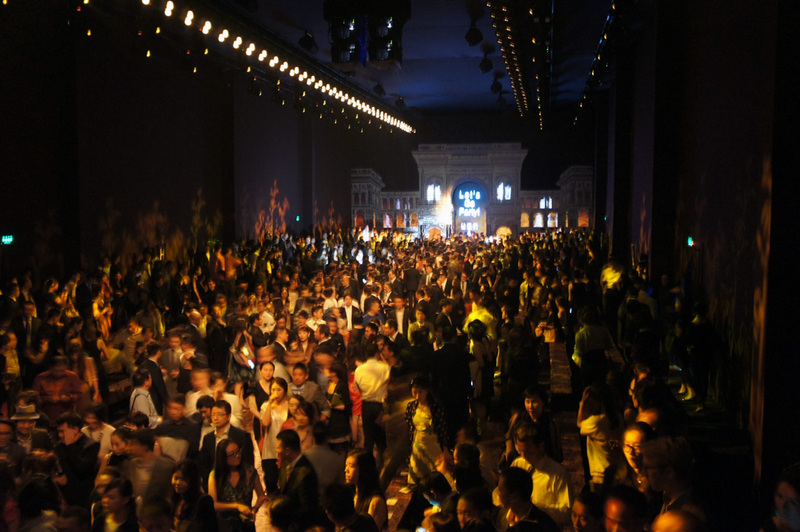 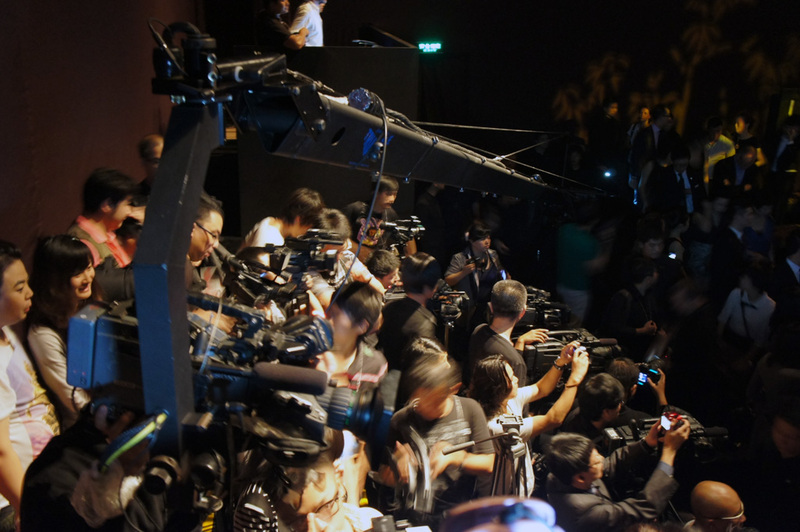 Zegna Men in Beijing. 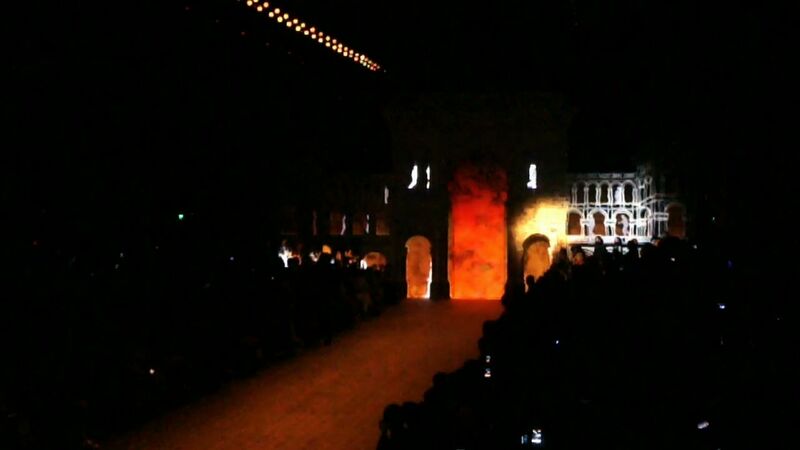 Mou Factory has created for Urban Production the opening video and the projections aired during the fashion show. 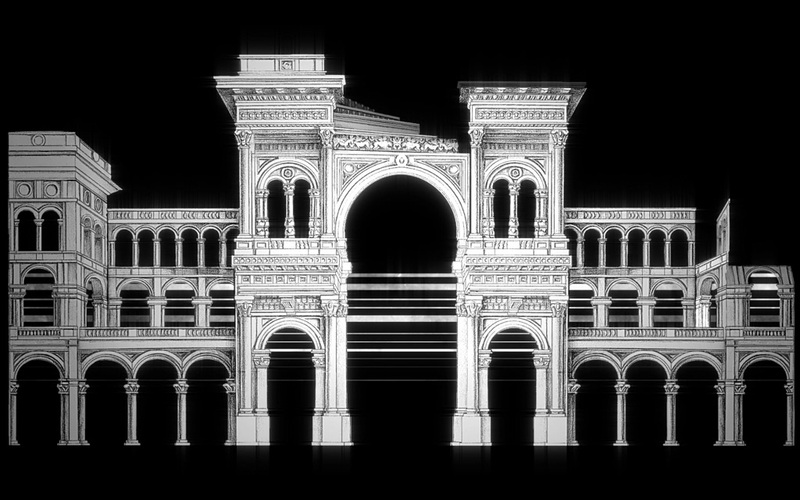 The printing of imposing size which made up the backdrop, reproduced the Galleria Vittorio Emanuele in Milan. 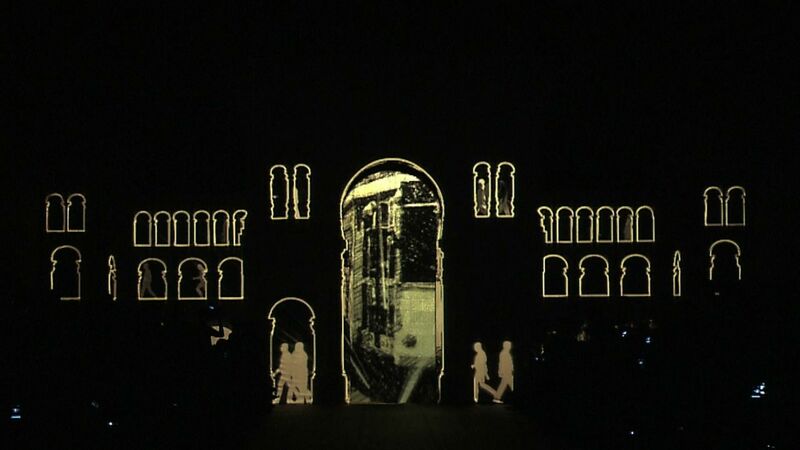 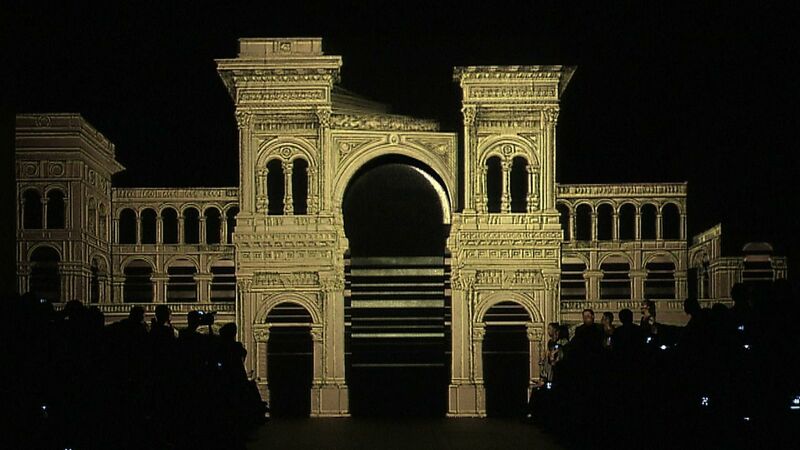 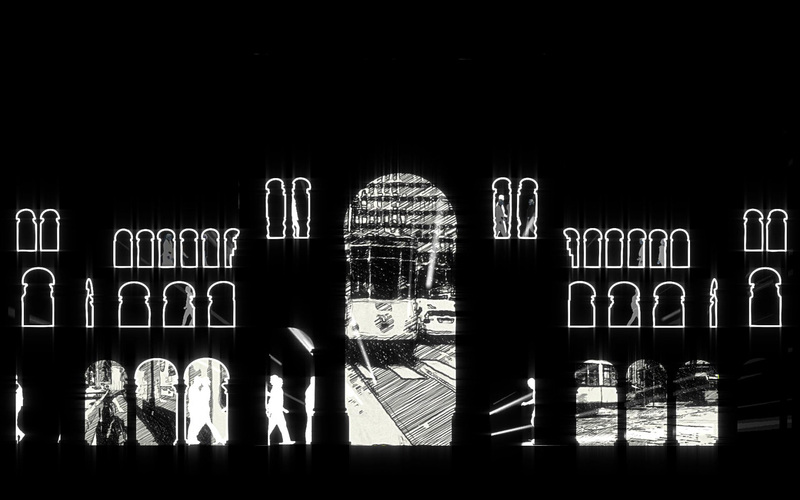 A projection of the theatrical backdrop opened the show.